The above words by Richard Benyon are extracted from the 'Ramblers Magazine'. The Ramblers,having stated that the current agri/env agenda was a "coordinated attack on public access",gained the above response from Richard Benyon.Of course Richard Benyon's words cannot be challenged BUT his actions,or rather inaction,can. The facts are clear in that people are being excluded from previously well frequented countryside as Natural England seduce Wildlife Trusts,Local Authorities,landowners and tenants with Euro sweeteners to fence,graze,obstruct and generally disconnect the Euro funders(ourselves)from that which we fund!The facts are clear Natural England are using grant funding to aid the illegal purchasing and enclosing of Common Land thus destroying a legal,1000 yr,heritage. 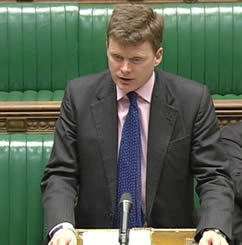 Mr Benyon has been aware,since coming to office,of the need to add flexibility to current agendas.This has not happened.Mr Benyon has been aware,since coming to office,of the far more difficult problem of adding flexibility to the corporate structure of Natural England and the even more difficult challenge of overcoming NE's arrogant,messianic drive to achieve their agenda AT ALMOST ANY COST. During that time Natural England has continued to distance itself from those it should be accountable to.During that time huge numbers of local groups have challenged the agenda of imposition and suppression.During that time a large number of allegations of unlawful activities by government representatives have been made.During that time Richard Benton,Jim Paice and Caroline Spelman have continued to express a commitment to the public that cannot be substantiated in reality. I am reminded of a telephone conversation with Mr Benyon "when I next visit Cornwall I will arrange to meet you"!He was in Cornwall last week with not a word to me. Some two years on the words are not reflected in reality.Will we have to wait as long to see Mr Benyon fulfill his words to the Ramblers? In my view Natural England are the establishment equivalent of a dangerous dog and should be treated as such as its 'owners' have failed to bring it under control. If any readers doubt the veracity of previous claims regarding the ability of the UK establishment to be subverted and the potential failure of accountability please GOOGLE Hollie Grieg(Aberdeen) and make your own conclusions! QUANGO now represents,to me, Questionable,Unaccountable,Autonomous,Non compliant,Grant funded,Obstacle creators? Do you agree with Steve Yandall? E-mail and tell us what you think.